Rocksteady and Soul for the Masses!! 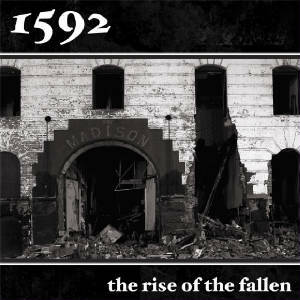 1592 is the impetus for change within the music of Detroit, the heart of the city and the people surrounding it. Big up to all the reggae fans out there. Check out the site for more info on this up and coming band. Coming straight at ya from the Detroit scene. From the beginning, 1592 has played roots reggae with a strong emphasis on rock-steady and Dub, which has led to a devout following. The time has come for a change in the music of Detroit and the country. Continuous vibe oriented beats with a driving bass make you want to groove all night long. Check out 1592 at their next show and be blown away!